Our Lone Oak Pinot Noir grapes were harvested finally last Tuesday and delivered to the winery. 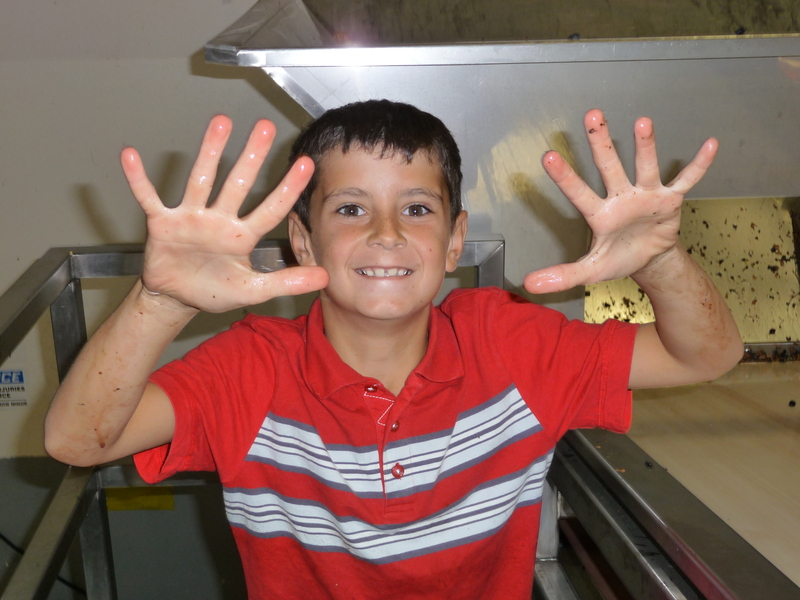 We went right down to business and started the whole process of sorting and de-stemming and cold soaking all over again. 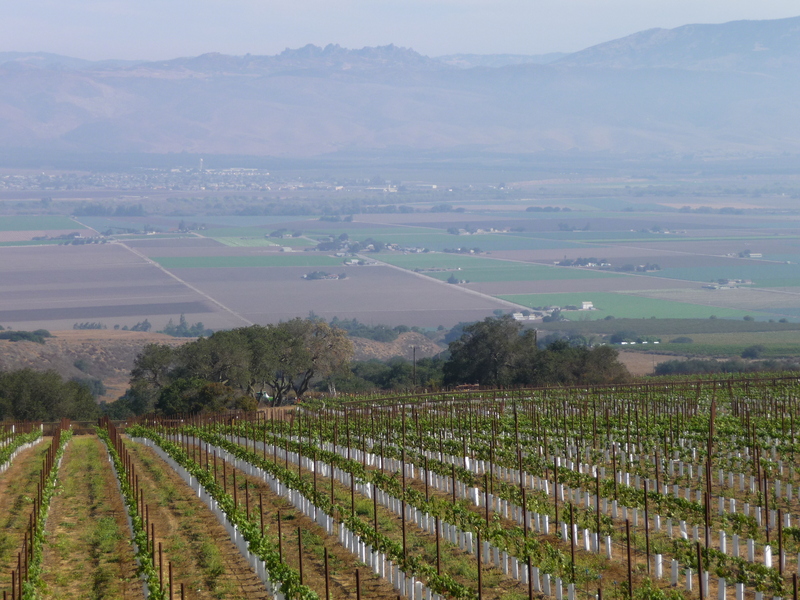 Although the wine making plan for Lone Oak, which is in the Santa Lucia Highlands appellation, south east of Monterey, is similar to the Gap’s Crown (Sonoma Coast Appellation) , the fruit is markedly different. Both vineyards are influenced by the maritime fog and air, which cools the vines and slows down maturation during the summer months. However, that is where the similarities end. 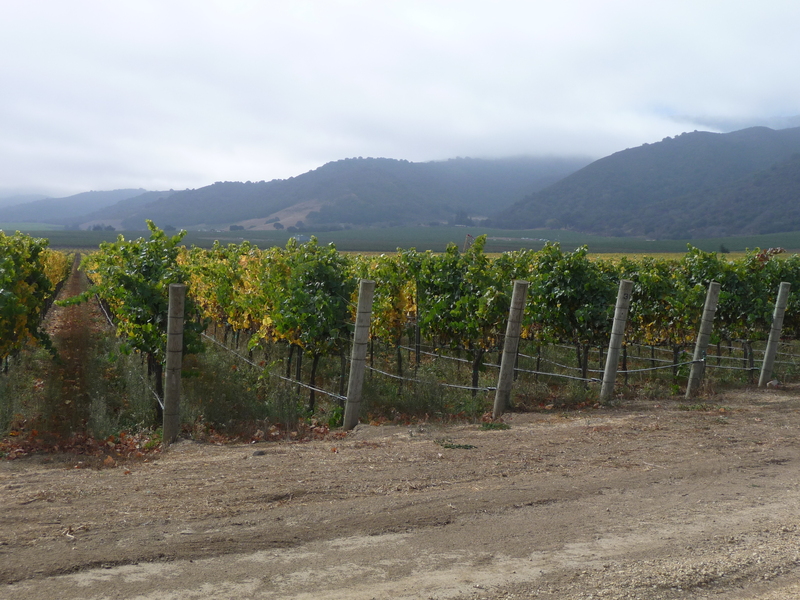 Whereas Sonoma coast produces delicate, refined, elegant wines which are well balanced with acidity to complement the typical Pinot fruit, the Santa Lucia Highland fruit is a bit more voluptuous and with flavors that are bursting at the seams. Still with a lot of elegance and refinement, but you can’t mistake the overt femininity, I’d say the Gap’s Crown is an Audrey Hepburn to Lone Oak’s Catherine Deneuve. I might be dating myself with these fine actresses as my analogies, but I can’t think of anything else at the moment. If anyone has a more recent, parallel examples, feel free to post and I will consider! In any case, we chose to make these two different pinots to showcase the stylistic differences between the appellations. We like them both and are really excited to watch them ‘grow’, or as the French say, ‘élever’, side by side. It will be a lot of fun tasting and noting the differences. I hope you washed your feet first! Is that the 2008 Pinot Noir that I drank a few weeks ago? Yes, that’s the Pinot. And yes, I washed and sterilized by feet first!